Ideal for short evening ski tours, the Updraft 12 LW Rucksack is a minimalistic backpack for trips when every gram counts. Made from lightweight siliconised fabric, with robust material at the base and sides. The shape has intentionally been kept slim to ensure an unrestricted range of motion. The Synergy Mold Light contact back and flat hip straps guarantee a stable fit. 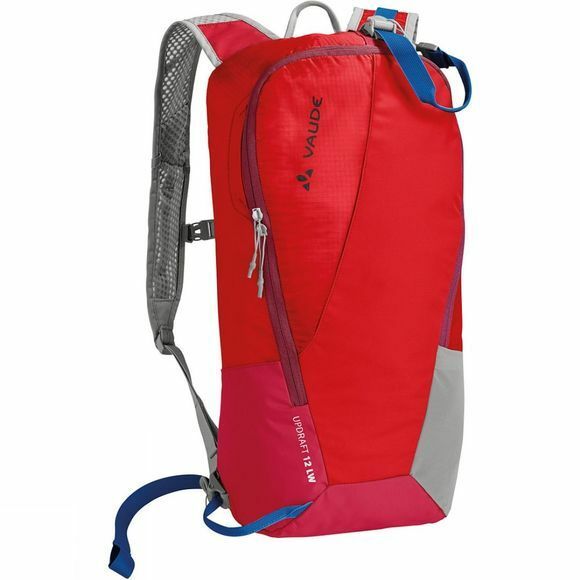 The pocket on the lightweight, well-ventilated shoulder straps is perfect for storing muesli bars, and if it gets too hot for your gloves or hat during rapid ascents, these can simply be attached to the shoulder straps. To keep your skis compact and close to the body during carrying sections, the diagonal ski attachment can also be adjusted while wearing the pack. Use the gear loop on the outside of the backpack to attach your ski helmet. In the main compartment is an easy-access pocket for a shovel and probe. 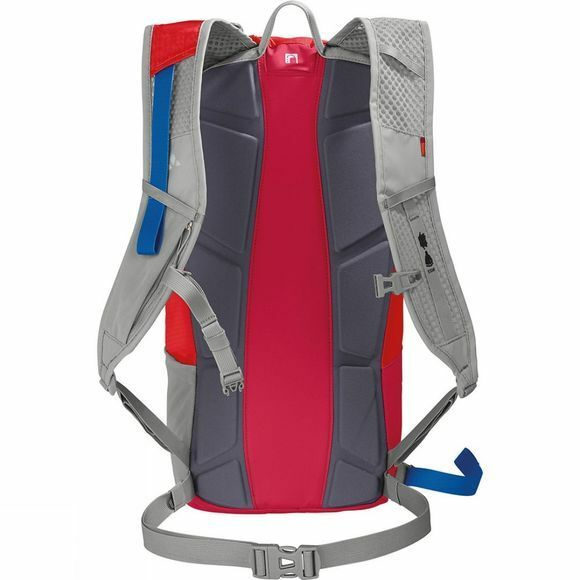 Reflective elements on the backpack improve visibility during piste tours in the dark. Green Shape is Vaude's guarantee for environmentally friendly products – made from sustainable materials and resource-conserving manufacturing.